Online gaming regulations in Australia changed in the wake of the 2016 law called the Interactive Gambling Amendment Bill. This law was intended to make regulation of online gaming in Australia clearer than it had been under the previous law that had been in effect since 2001. Before the Interactive Gambling Amendment Bill, it was ostensibly illegal, for online casinos to offer gambling opportunities to Australian gamers. The loophole in the previous law was that it seemed to allow non-Australian online casinos a free hand whilst disallowing Australian online casinos from accepting Aussie gamers. So, online casinos made serious inroads into the Australian gambling market simply by being “located” outside of Australia. In the world of cyberspace, a business located in one side of the planet can offer goods and services easily to people on the other side of the planet. From 2001 until now, many regulated and reputable online casinos have offered their services to Australian gamers. The new law might open the online market in Australia to unscrupulous casinos. 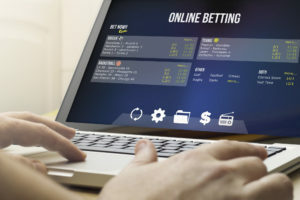 The Interactive Gambling Amendment Bill appears to have been copied figuratively from the American law called the Unlawful Internet Gambling Enforcement Act (UIEGA). This law was passed by the US Congress in 2006. It made it a crime for a financial company such as a bank or a credit card company to transfer money from one account to an account at an online casino. The UIEGA functionally ended online casino gaming in the United States although some casino sand some financial institutions found loopholes in that law as well. The so-called loopholes were never tried in a court of law so we don’t know at this late date if they were loopholes at all. Ironically, several states in the US are looking to legalize online gaming in their jurisdictions. The complexity of American constitutional law make it seem that the UIEGA was never on solid ground vis a vis the rights of the states to regulate online gaming within their jurisdictions. Trying to Make a Complex Matter Simple. This brings us back to Australian gambling regulations. The Interactive Gambling Amendment Bill says that it is illegal to offer “interactive gambling services to Australians unless the person holds a license under the law of an Australian state or territory.” This would seem to put the regulation of online gambling in the hands of states and territories. The central government at this time has no plans at all to institute a licensing regime for online casinos. The situation that obtains at present is that no state, territory, or government is licensing online casino gaming. Nevertheless, Australians are looking to online casinos to satisfy their gambling desires. This means that unscrupulous online gambling operators can enter the Australian market with no oversight whatsoever. Under the law that was in effect from 2001 to 2017, Aussie online gamers relied on outside regulatory bodies, of which there are many, to protect the gamers’ financial interests whilst they played at regulated online casinos. The new law does away with recognizing offshore online regulatory bodies. This makes it easier for disreputable and outright dishonest online casinos from targeting Australian gamers. The new law also seems to ignore the reality that many jurisdictions around the world have discovered. As much as land base casinos are regulated and taxed, the majority of gaming these days is done online. Within the online platforms, mobile has surpassed desktop as the platform of choice for online gaming. Instead of dismissing online gaming out of hand, many countries and other local jurisdictions have begun regulating online gambling simply because there is too much money to be made by taxing winnings and casino profits. Regulating online gambling is no doubt more difficult than regulating land based casino gambling. Countries also have other legal gambling venues that are relatively easy to regulate but gamers continue to demonstrate, by their relentless drive to find online casinos that will accept them as players, that they want to gamble at online casinos. The states that are still reluctant to legalize online casinos have state lotteries, horse and dog racing, and other well regulated gambling venues. One major misconception that has ramifications for the regulation of online gambling is that, whilst pokies remain the game of choice of most Aussies both at land based venues and online, poker is also very popular. Many Australians love the intellectual challenge of playing poker against real opponents. The new online gambling law effectively could end online poker for Australians. Pokies are a pure game of chance whilst poker has elements of both luck and deep analysis. The bluffing that obtains in poker never occurs in pokies. Blackjack is another popular casino game that requires deep thought but in blackjack you play against the house. You don’t have to “read” the house’s position. In poker, you need to learn to “see” an opponent’s cards even though they are hidden from your eyes. Playing poker online gave many players the practice they needed to challenge poker players at land based casinos. So, the new law may very well cause land based poker gambling to decrease even as it cuts into online poker play. A group of poker players have organized to protest the new law and to try to influence the government to amend the law to allow online poker to continue. The group is called the Online Poker Players Alliance. The alliance’s main points are 1) that poker is not merely a game of chance. It is possibly far more a game of skill since you don’t have to continue in the game if you were dealt a poor starting hand. This is in contrast to blackjack where you play the hand you were dealt. The second point being made by the alliance is that poker between real people is a zero-sum game in which one player wins and one or more others lose. The house takes a cut but the players don’t play against the house. In this view, the house is merely a conduit. There are still many reputable online casinos that are continuing in Australia but the new law has made life much harder for them. Only time will tell whether the government truly cracks down on online gambling or comes to see it as the popular pastime it is, begins to regulate it as such, and begins to reap the tax benefits that other countries and jurisdictions are already enjoying. Subscribe to our newsletter to get all the latest in promotions, bonuses and news!